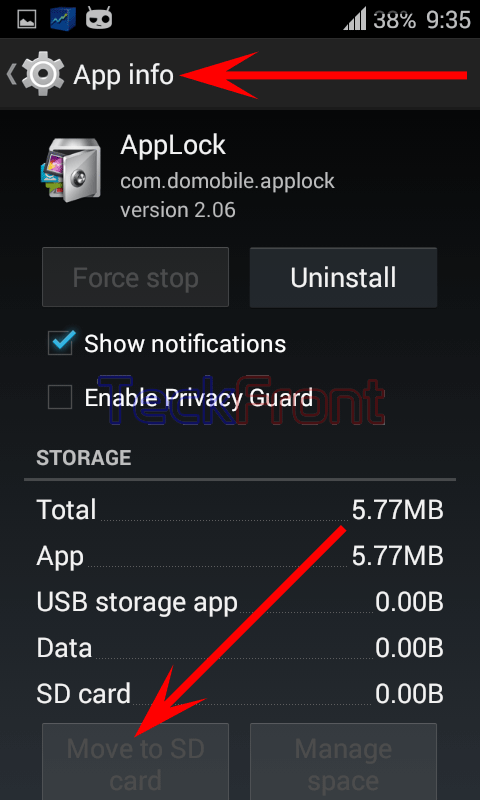 How to Move Downloaded Apps from Internal Storage to SD Card in Android 4.4.4 KitKat Device? 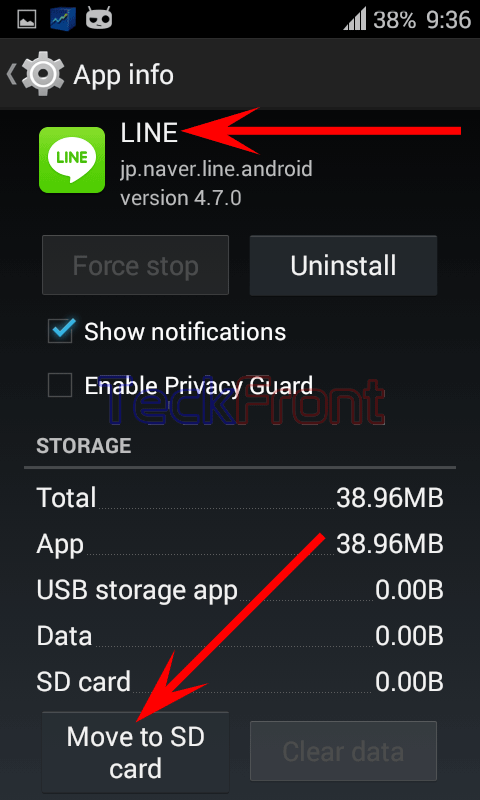 When you have got the SD card, inserted and installed in your Android 4.4.4 KitKat device, with exceptionally large external storage capacity, then you must use its good storage capacity to lessen the load on your Android device. It will not only increase its speed but also will smoothen the working of your Android device. After moving some of the apps to the SD card, you may get more space in the USB storage of your Android device to download and install more apps in it. But, you must keep in mind that all those apps which are either built in in the OS, which need to remain attached with the OS or Apps preferred by Google to work in close association with Android OS, cannot be removed from internal storage. Command Line: Settings > Apps – DEVICE > Apps. 2: At the ‘Apps’ screen, see a list of the DOWNLOADED apps. 3: Tap any app to open its ‘App info’. 4: Scroll the ‘App info’ downward and see the ‘Move to SD card’ button is disabled, i.e. Android OS does not allow to move this app to SD card. 5: Go back to DOWNLOADED app and select and tap any other app which can be moved. 6: Scroll down to the ‘App info’ and see the ‘Move to SD card’ button is active and enabled, i.e. it can be moved to SD card. 7: Tap the ‘Move to SD card’ button and it will be disabled, and in background, its status is changed to ‘Moving’. 8: Go back to the DOWNLOADED apps screen and see the moved apps is not there. 9: Swipe the screen to the right to the ‘ON SD CARD’ and the app which was moved from DOWNLOADED is checked. i.e. it is there. 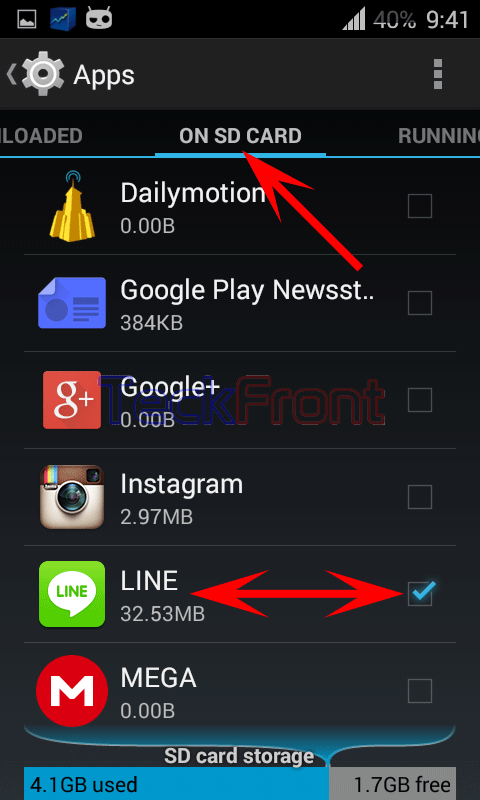 Now, start shifting unnecessary DOWNLOADED apps to SD card and get your Android device, quicker and speedier. 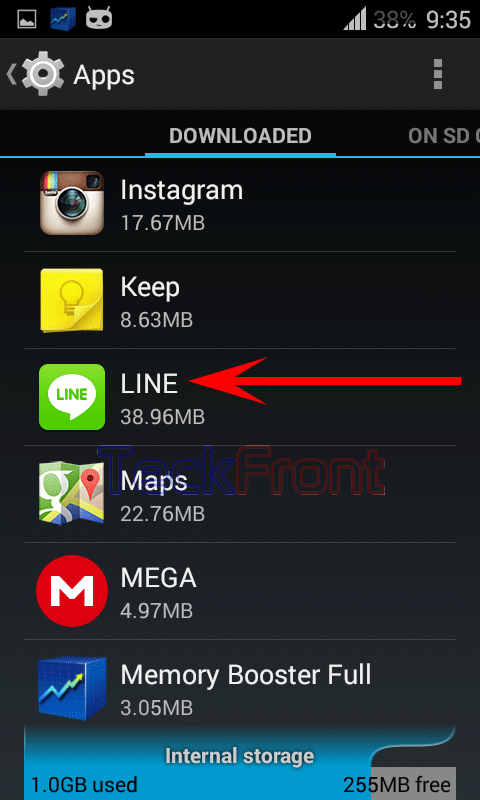 Newer How to Move Apps from the SD Card to the Phone Internal Storage of Android 4.4.4 KitKat Device? 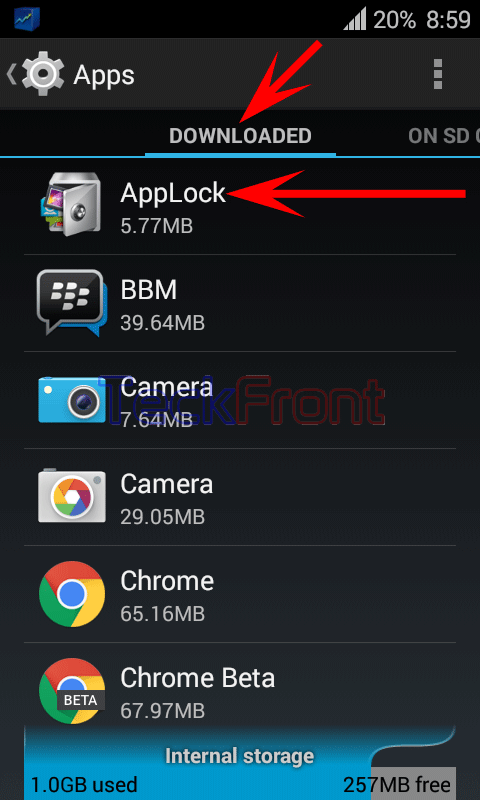 Older How to See Total Used & Free Internal Storage for Downloaded Apps in Android 4.4.4 KitKat Devices?